Extreme slopes, inaccessible, dangerous terrain, fine park grass, large lawns - SPIDER ILD02 can easily handle all of this.The patented drive system together with the unique mulching system always ensure a perfect cut. If you are looking for a professional mower for challenging terrain, you have just found it. SPIDER ILD02 can replace up to 15 brush cutters or 1 heavy machinery while keeping operating costs much lower. Due to absence of physically demanding work the daily productivity is much higher compared to the manually operated machines as no compulsory work breaks are needed. The unique mowing device is based on high-quality mulching due to which it is unnecessary to collect the grass. Cut grass is evenly spread to the grass roots and serves as a valuable source of nutrients for further growth. 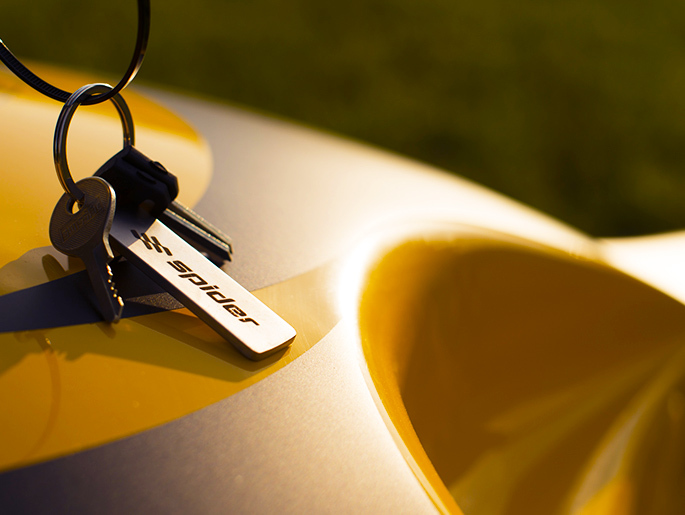 The SPIDER ILD02 is equipped with a four-blade mowing mechanism that ensures perfect mowing and precise mulching. The blades are made of special alloys that guarantee strength and sufficient flexibility in case of accidental impact on a fixed obstacle. In addition to classic blades, we also offer curved blades, which you will appreciate especially during frequent mowing of parks and gardens. The SPIDER ILD02 can be used both for intensive mowing of short and park grass,as well as for rough and dangerous terrain and the steepest slopes. With one machine you can cut all the surfaces and do not need any specialized mechanization. During winter months you will appreciate the snow plow which can easily remove the snow cover up to 30 cm. You would hardly be able to find a safer mower in the market. The remote control allows the operator to stay away from the working area of the mower, away from noise and vibrations. Safety can be further enhanced by using the hydraulic winch, which stabilizes the machine in extreme slopes. SPIDER ILD02 works safely in the toughest conditions. 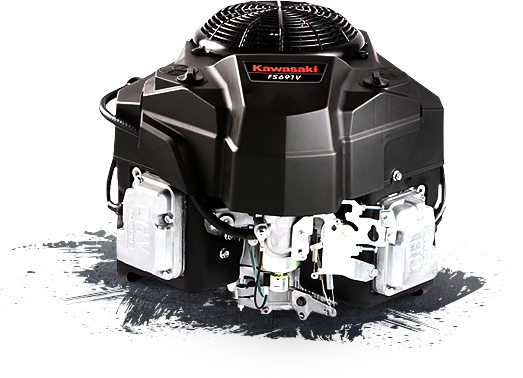 4-cycle Kawasaki engine provides optimum productivity and maximum payback even in the toughest terrain due to dual element air filter and powerful lubrication system. The remote control provides comfort, safety and precise control. Range of the remote control is 100 m.
The hydrostatic drive system ensures fluent speed regulation while perserving optimum management of the combustion engine. Sensitive speed regulation and steering result in precise control of the mower, excellent operation efficiency and high safety. The patented drive system „Dance step“ together with constant 4-wheel drive ensure fanstastic maneuverability in all terrains, great climbing ability and gentle treatment of grass even in wet or soft terrain. SPIDER ILD02 is equipped with the skid steering option. Steering system allows the rotation of the mower around its vertical axis and significantly simplifies manipulation. To transport SPIDER mower you can use a special car trailer containing integrated pull-out ramps and a safety system securing the mower from motion. It can be easily and quickly transported by most of the utility vans as well. Wheels 16 x 6.50 "